Ultra bright flashlight makes each movement of your pets visible, which can let cars see your dog in advance and prevent accident in walking. Soft-grip handle can reduce the pain of hand in walking. One-handed break & release system offers great convenience for you. Under the help of 360 degree tangle-free design, your pets will not be limited with moving angle and twisted leash. 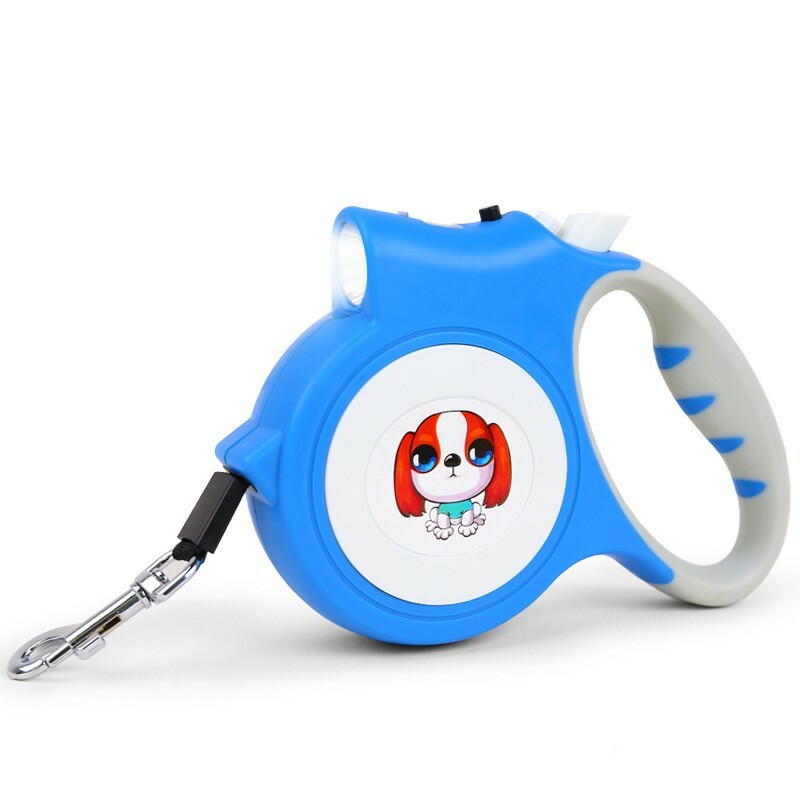 -Keep retractable dog leash away from fire and kids under 3 years old. -Mavric, a professional pet products manufacturer, offers all kinds of glow in the dark dog collars and leashes. 1 year warranty is offered by us. If you have any question about pets or products, please feel free to contact with us. Running in heat is normal in summer, human can run in heat, but how about dogs? Your dog has a furry coat, just imagine running in high temperature with a thick clothes, that's what your dog's feeling. You need to take care of the feet of your pets as well, because they might not wear a pair of shoes and hot pavement can hurt them a lot. Pets do not sweet via skin like our human do, they sweet via their their paws. So make sure running will not hurt their paws and if your find their paws are wet, that is their sweat. Running in heat might not be a good choice for pets, so we would like you to choose other sports in summer for your pets such as swimming.